Protests are being organized in cities around the world to respond to the ongoing assault on Palestine and the Palestinian people, including the murders of Palestinians (including 16-year-old Muhammad Abu Khdeir, murdered brutally by Israeli settlers), the bombing of Gaza and the killing of over 2000 Palestinians by occupation forces, the mass arrests of over 1900, and the raids, attacks, tear-gassing, invasions and closure that Palestinians are being subjected to. If a rally you know of is not listed, please use this form or email samidoun@samidoun.ca to have it posted! 69th St. at 5th Avenue, to 86th St.
Protest organized by Students for Justice in Palestine’s Chicago network, and co-organized with local chapters of American Friends Service Committee, American Muslims for Palestine, Jews for Justice in Palestine, Jewish Voice for Peace, Palestine Solidarity Group, the US Palestine Community Network, International Socialist Organization, ANSWER Chicago, and the Anti-War Committee. Embassy of Israel, Chacabuco y Avda, de Mayo, C.A.B.A. Colorado says NO MORE collective punishment of the Palestinians! NE 45th St Overpass over I-5 — meet on the west side, 5th Ave NE. Texas State Capitol at 11th St. & Congess Ave. Organized by Plataforma de Solidaridad con Palestina de Madrid y otros colectivos en solidaridad con el pueblo palestino. Sur la nouvelle place Yasser Arafat – Yitzhak Rabin (face à la salle Pablo Neruda). Sponsored by the Chico Peace and Justice Center, the Chico Peace Vigil and Chico Palestine Action Group. Organized by St Louis Palestine Solidarity Committee, CAIR STL, and Instead Of War Coalition. Republic Square (plateau in front of the Russian Tsar). Democracy Plaza, 199 Main St.
World Cup Corner facing Paseo. Federal Building downtown, 880 Front St.
6:30 AM Follow the link for latest details! Monday, August 25 – 4 PM Tentative, please note site below! 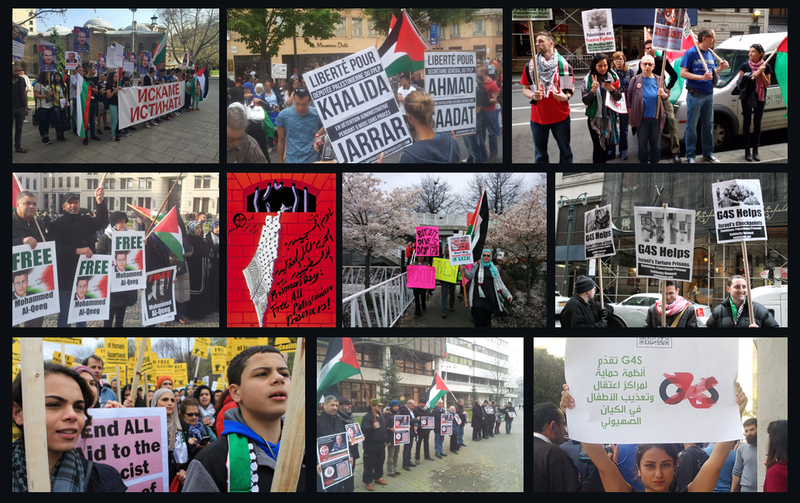 July 3, Vancouver: Protest Israeli War Crimes!